Live in or around New York City? You’re cordially invited to a Jan. 7, 2015 screening of Cotton Road, a documentary that explores the global cotton supply chain through the eyes of its workers. Hosted by the Pratt Institute’s Brooklyn Fashion + Design Accelerator as part of its winter film series, and sponsored by Ecouterre, the movie traces the transnational journey of the “fabric of our lives,” from the rolling fields of South Carolina to the factory cities of eastern China. The transformation from seed to shirt isn’t always a pretty one, but director Laura Kissel isn’t afraid to take a gimlet look at the environmental and ethical impacts of cotton’s globe-spanning odyssey. We caught up with Kissel this week to learn more about the inspiration behind her film, how supply-chain transparency can lead to social change, and how consumer choices can be a powerful advocate for the way our clothes are made—and the people who make them. $10 suggested donation; includes wine, popcorn, and a post-movie clothing swap. I was working on a film in rural Georgia a few years ago, and I did some filming inside a cotton gin. All the workers at the gin were from Mexico and the cotton they were ginning was being sent to China. Before this experience, I hadn’t given much thought to the ways many rural places have a connection to other parts of the world. I also became fascinated by the cotton plant, how it changes—and is forced to change—by industrial agriculture. I thought it would make an interesting story to follow the plant, and then the commodity, and find a way to visualize industrial processes and the human stories that are in-play alongside these things. Why focus on cotton, specifically? Cotton is ubiquitous in some ways, and not so in others. We have drawers full of clothing made from cotton fiber, yet most of us know next to nothing about the labor, people, and industrial processes that make our clothing possible. Textile production processes are globally dispersed and therefore invisible to most consumers. And clothing can be purchased for very little money, which disguises the amount of energy and resources required to grow the fiber and ship it around the world. I was curious about all this, and I thought it would make an interesting film to follow a bale of cotton through a production cycle to try to get at some of these concerns and also to meet the workers in a typical cotton supply chain. I was interested in the human side of the plant and commodity: Who are the workers, and what are their lives like, in this global system? What is the “Cotton Road” you mention, and where does it lead? “Cotton Road” is actually a reference to a couple of things. During the American Civil War, when Charleston was blockaded, cotton merchants needed to find an overland route to deliver cotton out of the U.S. to England for manufacturing. There was a route it traveled through the South over to Texas called the Cotton Road. And there’s a more obvious reference to the Silk Road in the title, which alludes to the history of global trade between East and West. More broadly, the Cotton Road doesn’t lead to one place. Rather, there are multiple “roads” crossing the globe, to and from many countries. Cotton is moving around the world all the time, to many places, and is transformed into products that also enter into those same streams of production and consumption. There are multiple players working on the Cotton Road. How do these relationships intersect? Cotton Road is a film about people who will probably never meet one another in person, but who are connected through the material object that is the end result of their labor. And, the consumer is part of this story, too. Wearing clothes is an intimate thing. The clothing on your body right now was likely sewn together by hand—and there were many other human beings responsible for bringing your clothes to you, too. In some ways, all of the human connections that are possible when looking at this commodity is what makes this a challenging story to tell. Who is the main antagonist of the piece: the textile makers, the clothing manufacturers, or the consumers? I don’t think any of these characters are the antagonists. They’re either trying to make a living within the current system or, in the case of the consumer, they just aren’t thinking—they haven’t thought about the systems they are participating in through their consumption habits. I think the antagonist is primarily invisible but alluded to by a number of workers in the film. It’s the large retailers who are driving our repeat consumption by offering cheap products that consumers will use and discard of quickly, and come back for more. Consumers are a part of this equation to be sure, but retailers are driving it. They have changed our consumption habits around clothing and textiles. Where there any discoveries or epiphanies that surprised you during the making of the film? There are a lot of small details that I really loved about this journey. One is that cotton has a pretty unique smell—it smells like a mixture of twigs, soil and dust. Walking into my first cotton warehouse in China, the smell was so strong it took me back to the gin in South Carolina where I filmed two months earlier. The entire environment had changed around me—I was in a major city on the other side of the world—but the cotton smelled the same. Also, when I was in pre-production, I thought I would follow one bale of cotton directly to a factory in China. This is technically possible, but once I was filming in the free trade zone in China, I encountered cotton from all over the world. 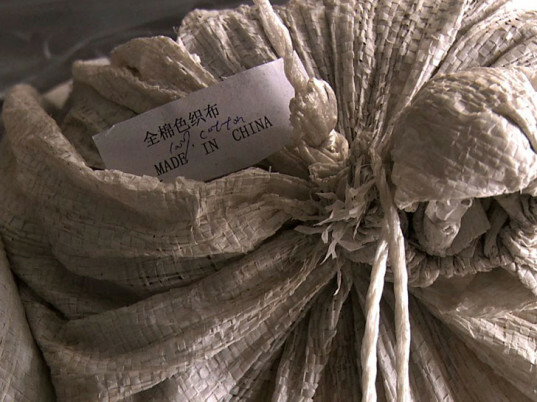 I thought about American cotton differently in its branded plastic bags when it was stacked next to Indian cotton wrapped haphazardly in burlap and bursting out of its bale wires. Indian cotton would tell a completely different story. Is cotton an economic, environmental, or social issue? It’s all of these things, which is what makes it so interesting and complicated. Cotton is connected to the environment; it is a plant that we’ve bred for thousands of years. 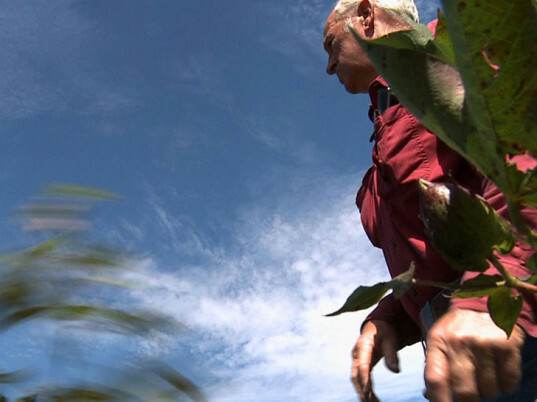 Most crops grown in the U.S. are now genetically engineered. We eat parts of it in the form of cotton seed oil, and sometimes cows are fed the leftover seeds and lint after ginning. And because people grow and transform it into the products we want to buy, it’s deeply connected to many social concerns regarding human rights. Beyond these things, cotton also has a wonderful materiality. It has a texture and smell; it’s a living thing that’s being transformed into something else, which has another materiality, and a different economic value. And human beings are in the middle of all of it—responsible, too, for constructing a global economy that can move this plant fiber all around the world. 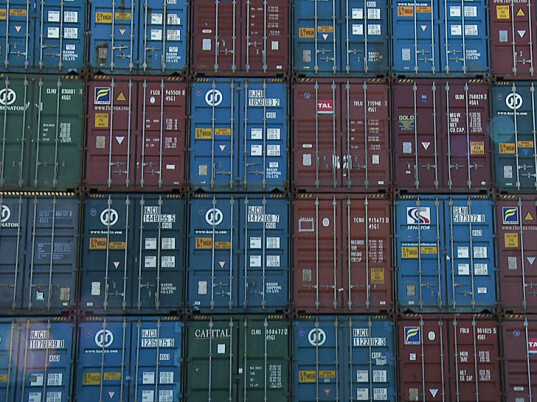 Why is supply-chain transparency so important? Most of us no longer have a connection to where things come from. We’re estranged from the work required to make things, so most of us have no sense of what’s required to produce the things we desire or need. We forget that there are human beings involved. Globalization has exacerbated this problem. When you send manufacturing elsewhere, you ship away from sight many of its negative consequences: pollution, low-wage jobs, dangerous working conditions for people. I think supply-chain transparency can lead to social change of all kinds. It can give people information so they can make consumer choices that line up with their personal values. It can provide a way for us to reflect more critically on the processes and resources that are required to drive our consumption. And I think when transparency is supported by technology, it could even provide a way for workers in a supply chain to have greater visibility and a stronger voice. Do you see America’s cotton mills making any kind of comeback, or has that ship sailed? There are a lot of smaller producers now who want to grow businesses that elevate the interests of people and the planet, and will factor these values into their profit-making. There may be some mill expansion to support small-scale domestic textile production, but some experts have explained to me that most of the growth will be in high-tech textiles—computer-aided weaving machines and high-tech fabrics used for military and industrial purposes. But as long as a large numbers of consumers want to keep purchasing a lot of really cheap clothes, there will be a global textile industry to supply the materials and labor as cheaply as possible. What are the movie’s main takeaways? What concrete actions can consumers take after watching this? I hope Cotton Road encourages people to think more critically about the impacts of our consumption on workers’ lives and the planet. Specific actions consumers can take are to support human-rights organizations that are helping workers around the world advocate for a living wage, ensure safer working conditions, and eliminate child labor. There are several campaigns underway to gain settlements for workers and their families after the collapse of the Rana Plaza factory in Bangladesh over a year ago. Consumers can also ask their favorite brands what they are doing to source ethically and ensure fair wages and what their commitments are to reducing the negative impacts of textile manufacturing on the environment. There are a number of brands that now have a very explicit mission to clean up their manufacturing processes, use more organic fibers, and are even thinking through the life cycle of textiles: how they can be extended, reused, or recycled more effectively. Finally, change your habits. Take better care of the clothes you already own so they last longer. Buy less, or be willing to pay more for the clothes you buy if you know that money doesn’t just go to a shareholder, but instead supports a sustainable supply chain. Originally published on Dec. 18, 2014. Wonderful! What time will the film start? I'm working till 6 in midtown.. The event is from 6 p.m. to 9 p.m. I don't think I can make the screening, and I already know a great deal about cotton farming and clothing production, but it sounds terrific! Have a great time, everyone who attends. Live in or around New York City? 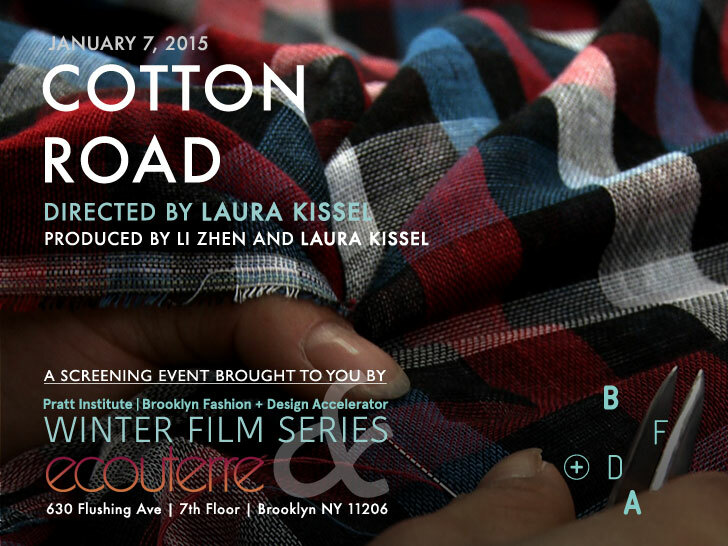 You're cordially invited to a Jan. 7, 2015 screening of Cotton Road, a documentary that explores the global cotton supply chain through the eyes of its workers. Hosted by the Pratt Institute's Brooklyn Fashion + Design Accelerator as part of its winter film series, and sponsored by Ecouterre, the movie traces the transnational journey of the "fabric of our lives," from the rolling fields of South Carolina to the factory cities of eastern China. The transformation from seed to shirt isn't always a pretty one, but director Laura Kissel isn't afraid to take a gimlet look at the environmental and ethical impacts of cotton's globe-spanning odyssey. We caught up with Kissel this week to learn more about the inspiration behind her film, how supply-chain transparency can lead to social change, and how consumer choices can be a powerful advocate for the way our clothes are made�and the people who make them.